Southwest Florida Parent & Child magazine covered “Gator Getaways” and Chris Spiro in the October 2016 issue. Check it out! (Nov. 8, 2016) — If you know anything about Christopher Spiro, you know he is a big fan of the Gator nation. He spends many of his fall weekends cheering on the University of Florida at his special Gator getaways — not on the sidelines with the cheerleaders, but you know what we mean. For many families, Gator getaways are far more than just football. For instance, some parents take their children to attend a gymnastics camp right on campus. Whatever your reason to visit, be sure to take a tour of the university grounds, and grab a meal at the college watering holes. Outside the university there are lovely parks and nature preserves to explore Gainesville’s natural beauty and wildlife, including Prairie Preserve State Park. Hiking trails provide adventures to see and learn about the many species of birds, as well as wild bison and cracker horses. Of course the state park is also home to reptiles, including alligators in full view sunning on the swamp banks. If water adventures are more your style, you can paddleboard, kayak or canoe the Santa Fe River. Another recommended family stop is the Florida Museum of Natural History on the UF campus. For Chris and his family’s gator getaways, wearing blue and orange and experiencing Gator football firsthand is definitely a family affair. 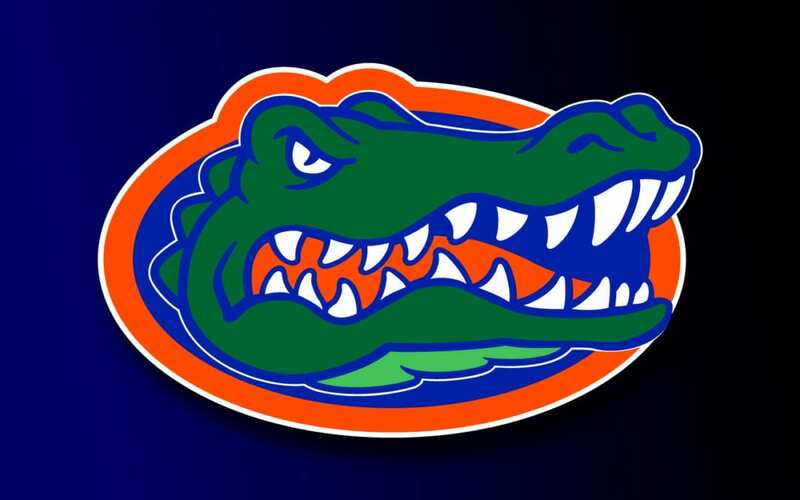 “We cheer on our Gators, scream orange and blue, sing ‘We Are the Boys of Old Florida,’ and celebrate our victories and curse our losses,” he told Southwest Florida Parent & Child. NOTE: Information above was gleaned from a Southwest Florida Parent & Child article (below) by Jennifer Thomas.